AMSTERDAM; GeoSpark is one of the fastest growing developer platforms working on a energy efficient location tracking technology with 90% less battery drain for iOS and Android, today announced that it raised €500K. This Seed round was done by Airbridge Equity Partners, an Amsterdam based technology venture capital firm. "Location has become a core fundamental feature where developers and companies are making apps more specific to where you are so you spend more time using the app," Manoj Adithya, GeoSpark's founder and CEO, states. At GeoSpark we have a built a cutting-edge, user friendly location tracking platform that we are putting in the hands of every iOS and Android developer. GeoSpark lets developers do more with location. GeoSpark uses a combination of location sensors like GPS, Assisted GPS and Network to provide location information and with the help of motion sensors, GeoSpark can predict the mode of transportation of the user like walking, running, cycling, tram, car, bus, train, boat and flight. GeoSpark stores and analyzes historical location data for each user. GeoSpark learns each user's (only after user's consent) approximate home and office locations based on the size, location, and time distribution of clusters. GeoSpark generates events when a user enters or exits frequently visited places and predicts how often he visits and his next visit and approximately how long he would spend in a location. GeoSpark geofencing is more powerful than native iOS or Android geofencing, with cross-platform support for unlimited geofences, polygon geofences, and stop detection. GeoSpark's Near-Real-Time Venue Detection API identifies venues currently being visited by mobile users. The API analyses location coordinates, Wi-Fi and bluetooth-beacon scans, collected by the SDK and converts it to venue details, in near-real-time. GeoSparks's AI and ML features include Car Location Detection, Frequent places detection, Geo-Grouping, User Behavior prediction and Crowd Sourced Parking network. Rick van Boekel (partner at Airbridge Equity Partners) says: "It’s very annoying when you’re using a great app and notice your battery is draining faster than ever. GeoSpark has developed high-end technology to preserve battery power when using location-based services by smartly combing satellite information with the sensors of your mobile device. AI is used to improve performance every day and therefore creating a new era for using location-based services and gathering more geo-based information. You have to see it to believe it! Launched in February 2018, GeoSpark is an AI-driven location tracking technology (SDK) with 90% less battery drain for iOS and Android. The developer platform hosts more than 450 Apps serving over 1.2 Million users. 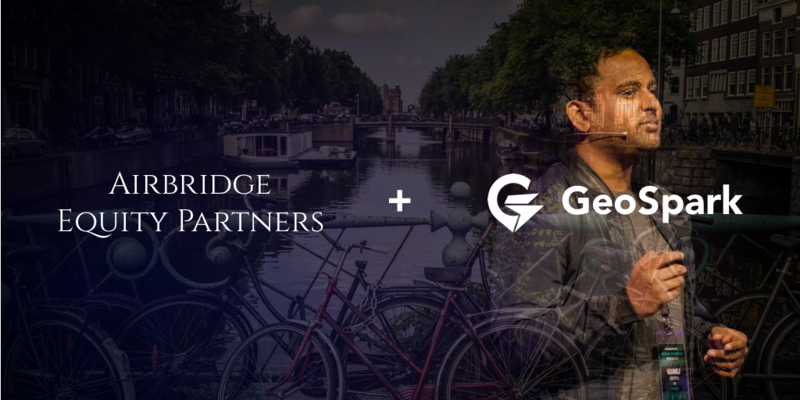 With offices in Amsterdam, Bengaluru and an office opening in the US, GeoSpark currently employs a team of 12 people. GeoSpark graduated from the Rockstart's AI Accelerator program from Amsterdam.